Now this is all well and good, but here in lies the problem: you can only go as far as the generator will allow you. This can mean that you are limiting yourself drastically, restricting your brand before it has even begun. It may work on a business card but what about a sign, website or on your social media channels? To build a brand, the majority of the time you will need that personal touch. Your brand is personal to you and your business, therefore you will want the best for it, why compromise on quality to cut a few corners and save some pennies? 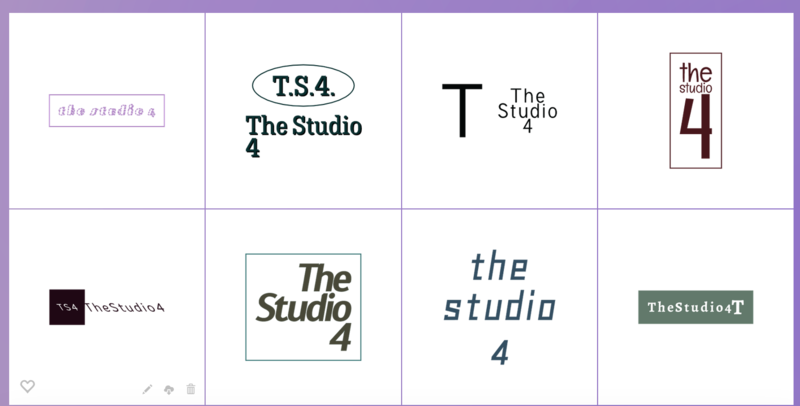 The Studio 4 has several in-house designers that will work with you to create your perfect logo and brand, making sure that every expectation you have for your business’s identity is met. We provide bespoke branding packages depending on what your company requires from logos and business cards to letterheads and other printed stationery. These can then be rolled out across all media platforms, including responsive websites and social media, making your brand truly recognisable across all mediums. Head to the branding section on our website to see how we can help you.